During the past 30 years, Brixton has seen a revolution in terms of how it’s viewed by property buyers. Its vibrance and energy has seen it transform into the place of choice for young Londoners who are looking to live in an area which offers something unique. This unique part of town has also built strong communities over the years. From a lively nightlife to a newly refurbished town square, as well as a range of quirky shops and restaurants, there’s never a dull moment. We’re talking about a part of London that even has its own currency – what more could you want - once you move in, you won’t want to move out! One thing that massively appeals to young urban dwellers is Brixton’s eclectic street life. From Brixton Village Market, where you can find fantastic deals and a range of different independent shops, to the Ritzy Picturehouse and the popular Brixton Academy; no wonder this corner of London is so popular with the under 40s! Brixton is very convenient when it comes to transport – it’s only four stops away from Victoria station in the city, which offers quick access to the south of England and Gatwick airport. The great thing about the Victoria Line is that you can always get a seat! Over 20 buses go through Brixton town centre, making it very convenient after a late night out. Brixton also borders Stockwell and Camberwell - which host many free local festivals in the summer. So what can you get for your money? Well, most property in Brixton is late Victorian – although there are pockets of early Victorian houses in some parts. There are also many sought-after 1930s purpose-built blocks like Effra Court, quite a few well-managed council estates like Blenheim Gardens and a lot of new builds; a clear sign developers want to cash in on Brixton’s popularity. Interestingly, Brixton was a very wealthy suburb until the start of the twentieth century, when lots of large houses were converted into flats and boarding houses. 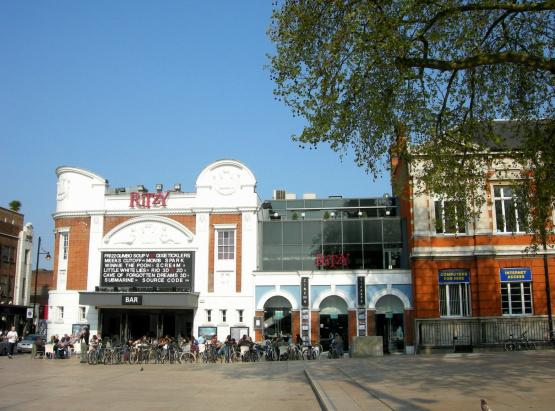 Back then it was a popular spot with West End actors and other theatre workers – which is perhaps why Brixton has a very creative arts scene! Brixton’s postcodes are SW2, which includes Streatham Hill and Tulse Hill, and SW9 – although this is technically the Stockwell postcode but it extends right into the heart of Brixton, east of Brixton Road. So what are you waiting for? If you’re looking for properties to rent in Brixton contact Eden Harper’s friendly team!